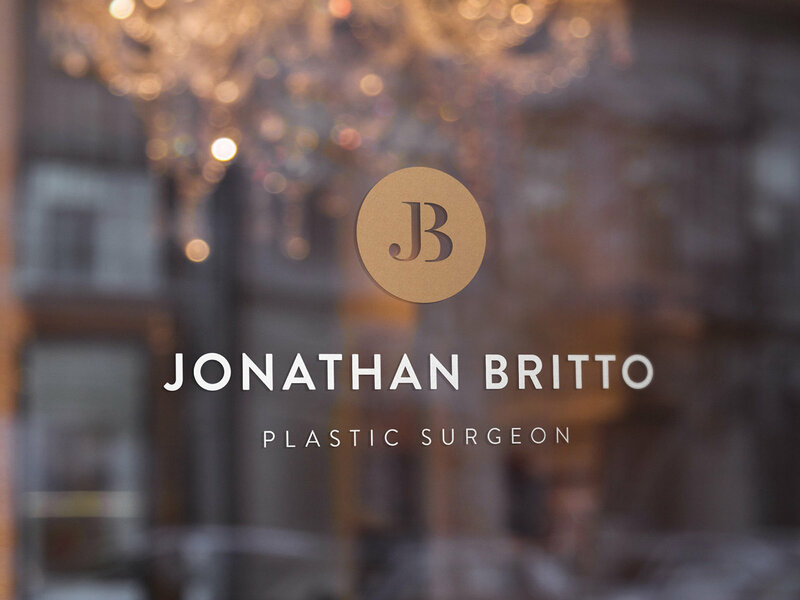 Jonathan Britto is one of the UK’s most respected, well-established and authoritative voices in plastic, aesthetic, and reconstructive surgery. 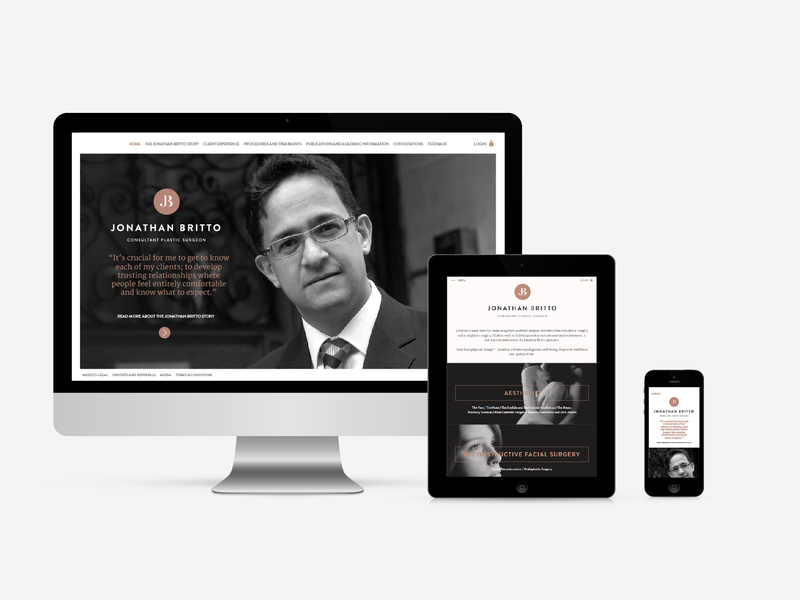 The brand identity and website were designed to reflect this level of experience and expertise, but also to emphasize the warmth of his character — a safe pair of hands. 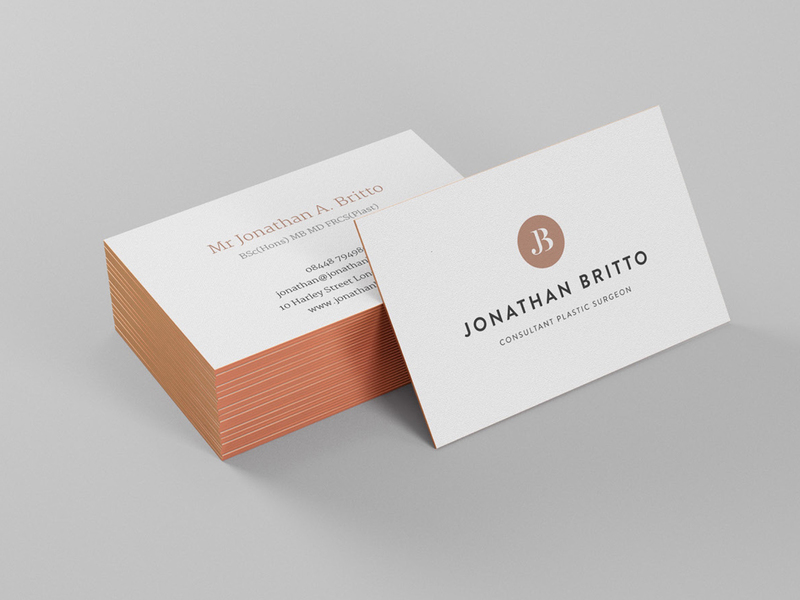 Operating from his Harley Street practice, Jonathan's target audience consists of wealthy high-net-worth clients with an eye for the finer things in life — so every part of the brand needed to reflect the high-end quality that this target audience would expect. Lots of metallic foils and off-white have been used throughout the printed elements of the brand and this colour palette and texture was transferred over to the website to give a unified feel. The website is designed to allow a first-time visitor to browse without needing to dig into the menu system — to allow them to discover the expansive website through a subtle narrative that ultimately ends up with booking a consultation.